Beer Fellows: The King of Beers & the bestselling beer in the world. The King of Beers & the bestselling beer in the world. Family legend says that my great grandfather, Michael Kittl, deserted from the Austro-Hungarian Army and fled out of Romania to the United States in the very early 20th century. He ended up in St. Louis and the job he had there was driving hitch for Anheuser-Busch Brewery. I wonder what his thoughts would be of the Budweiser beer of today compared to the one he delivered daily to various taverns and pubs around the city. 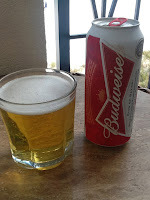 My other connection to Budweiser is that this was the first beer that I got sick on. When I was a young Marine in Okinawa, me along with a bunch of my fellow hard chargers had picked up a couple of cases of this to see us through a weekend. Needless to say that Friday night I drank too much Bud and spent the rest of the night being miserable in the head. I didn't touch Budweiser for a long while afterwards. On to the drink. Budweiser pours a clear yellow-gold color with minimal head that vanishes very quickly. It has body, less than Coors Banquet, but it is there. On the taste there is little in the way of bite from the hop and it has a flat, light, doughy and sugary taste. It finishes out with a stale biscuit aftertaste but even that fades quickly away. Like most American macro pale lagers it is highly carbonated and better when it is cold. It is not a beer you want to drink warm. It comes in at 4.8% ABV. There is one thing about Budweiser, this is the beer that a global brewing empire was built on. You can't write about beer or even be a beer aficionado unless you have at least tried a Budweiser. I'm not saying you have to like it, but it is important to develop a comprehensive understanding. It is not a good beer but there is a greatness to it simply for the impact that it has had on the world. This is the beer that the American craft brewer and home brewer is reacting against. It is the beer of conformity, but without it and its popularity, we wouldn't have the craft revolution we enjoy today. "This is the famous Budweiser beer. We know of no brand produced by any other brewer with costs so much to brew and age. Our exclusive Beechwood Aging produces a taste, a smoothness and a drinkability you will find in no other beer at any price." I can't even begin to refute that right now, it would take way too long. That will be an entry for another time. The other candidate for tonight is not only the bestselling beer in the United States but the world. Think about that for a moment. American Light Lager of all the beer styles around the world is the most popular. The "exemplar" of this style is Bud Light. There is nothing to this beer. 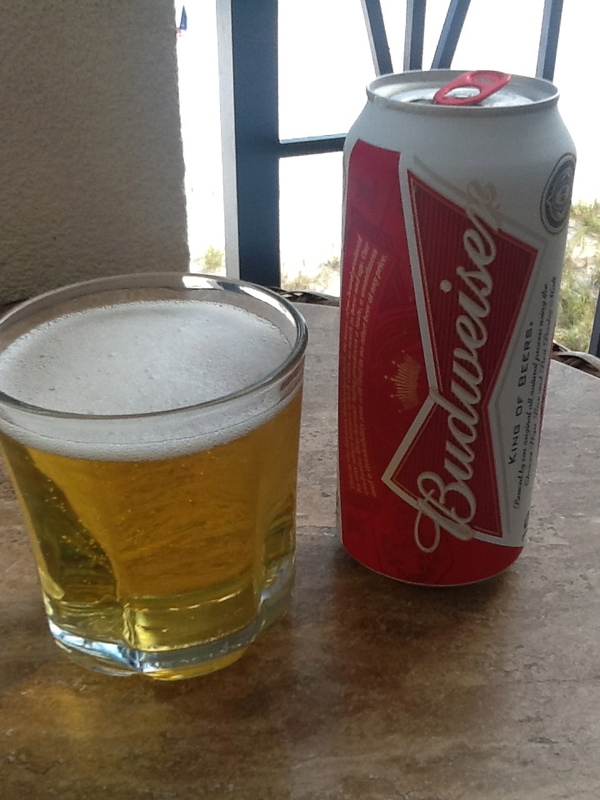 Take the above review of Budweiser, dilute it down to an ABV of 4.2%, keep the carbonation, and you have Bud Light. That may be a bit flippant, but this isn't a beer that is produced for taste. It is made for consumption, particularly a lot of them. Get them ice cold, drink them fast, and go get more is the end game. American light lager in its macro brew form is the lowest common denominator. The thing about Bud Light is that it cannot be ignored. It is the dominate beer in the United States right now. While Budweiser may be the beer that craft and home brewers are using as their reactionary baseline, Bud Light is the beer craft brewers have to ween people away from. While on paper this should not be a difficult task, in actuality it is a monumental labor. 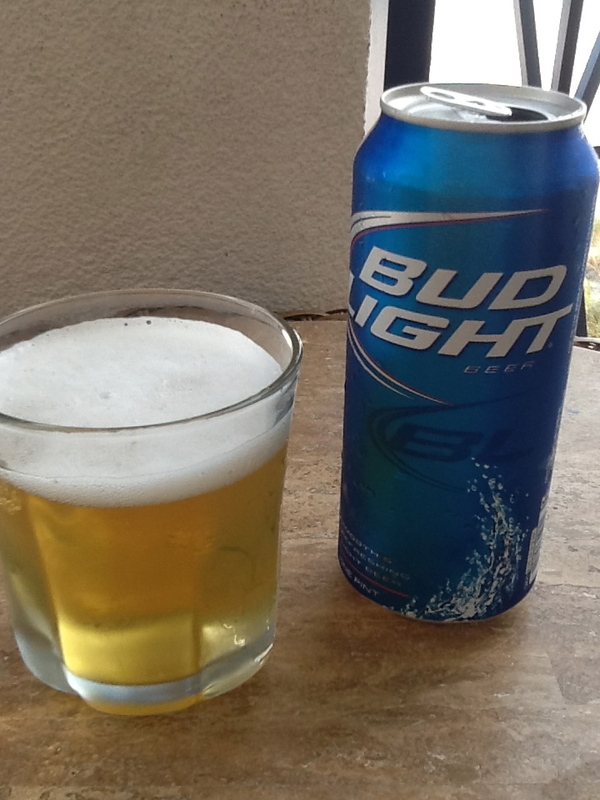 Bud Light has an allure as an easy drinker that will always provide the exact same comforting thing. It's a safe companion who will never challenge you and on top of all that, it is ubiquitous. "Bud Light, the world's best-selling beer, is a light-bodied brew with a fresh, clean and subtle hop aroma, delicate malt sweetness and crisp finish for ultimate refreshment." You are right about the comment that craft brewers have to get people away from Bud light. I was one of those individuals that would turn up my nose to craft beers. If you were to go to my hometown and remove all of the Bud light from the stores and replaced it with craft brews, you would have a revolution...the south would rise again. Budweiser has been around for so long in the south that the very first beer that father's gave their sons was a Bud, the sons grew and gave their children Buds, and so on and so forth, they passed on this tradition. It is a trusted brand that people know, their recipe is exact and has not changed much through the years. People are not used to big hop flavors, or flavors that push the envelope like Rogue's Bacon Maple Ale. You should see some of my friends/family when they try some of the beers I bring down... I almost thought that my father was having a heart attack when all he was doing was trying to take swig of a MooHoo Chocolate Stout.